This is one of the cards I entered into the county fair. I won 1st place with this one. As always, feel free to change the sentiment or use whatever product and whatever colors you want to make it yours. Cut dark card stock into 4.5″ x 5.75″ and 3.75 x 2.5″, and a label punch. Fold medium 5.5 x 8.5″ card stock in half to form card. Crease well. Layer and adhere large scrap rectangles to center of cream as shown in picture. Layer smaller dark card stock, medium card stock and stamped image. Layer label punch, oval scrap and word window. 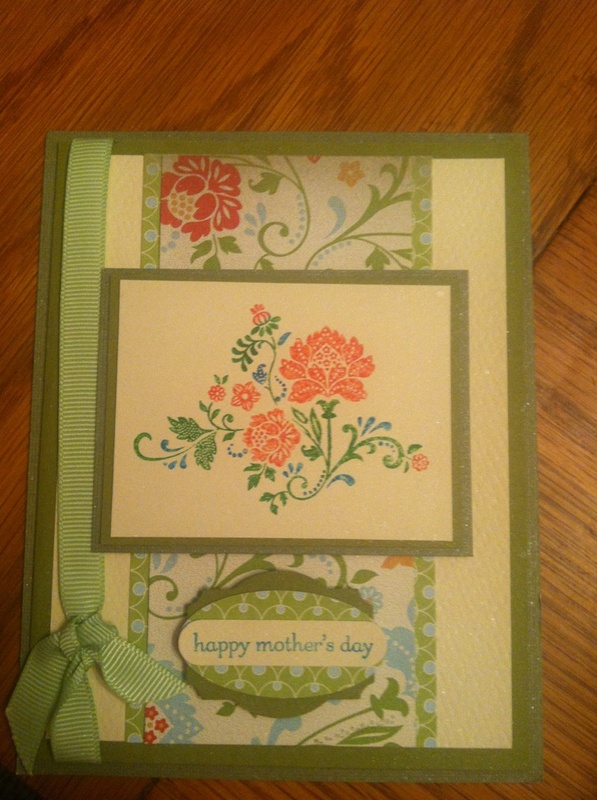 Unless you have oversized envelopes, you will have to make an envelope to fit– or leave off the dark card stock and it will fit in a regular card envelope. « A Crafter’s Dream Giveaway! wow, that is so pretty and you are talented. Congrats on winning 1st place.